Hearing Aids are constantly developing with new technology enabling them to perform better, whilst also looking more discreet. Some people are self conscious about wearing a hearing aid or simply wish for it to be unnoticeable and to meet this demand invisible hearing aids are becoming much more common. These are 100% invisible when worn and fit deep within your ear canal ensuring the sound travels quickly and accurately into the ear drum. There are many advantages to these in canal ear fittings, with the smaller gap between the end of the hearing aid and the ear drum yielding a greater sound for equal receiver output. We stock many different types of invisible hearing aids in Stoke-on-Trent, with the most popular manufactured by Starkey and Phonak. The Starkey Soundlens 2 90 is a digital, fully programmable hearing aid which incorporates self learning and intelligent frequency lowering technology to provide effortless hearing solutions. It also has a range of technology to reduce feedback – get in touch with our team for more information. The Lyric Phonak invisible hearing aids use cutting edge technology to provide not only the benefits of regular invisible hearing aids, but also extended wear. It is completely invisible in the ear and can be worn 24/7 for effortless hearing. There’s no daily insertion – instead you will come to one of our centres in Stoke-on-Trent, Lichfield and Burton every 2-3 months and we will fit it for you. 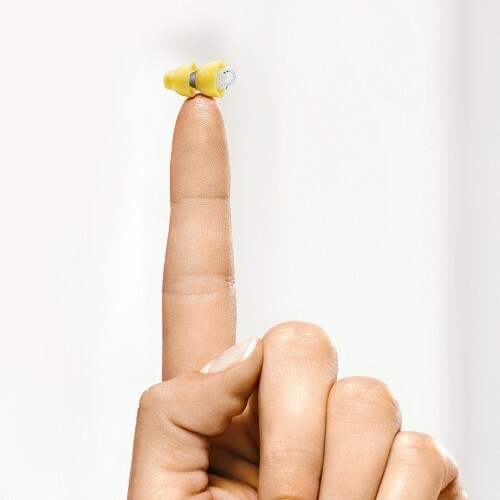 Lyric invisible hearing aids utilise the shape of your ear to give you clarity, localisation and high quality hearing, whilst also being long lasting. We offer a free month trial – so get in touch today. We’re experts at providing invisible hearing aids in Stoke-on-Trent and can sit with you to develop an effective hearing solution which is specifically designed for your needs. Book an appointment with us either online, or by giving us a call. Discreet hearing aids could be just a phone call away!